On November 25, 2015 Minister Antoni Macierewicz confirmed that in the near future the Ministry of Defense is to review the most important tenders for armaments. In his statement it was also suggested that the Polish negotiating position regarding the tender for its ‘Wisla’ air defense system from American suppliers might change. Doubts have arisen concerning the way the U.S. government is using Foreign Military Sales, as well as Poland’s room for maneuver at this stage of the tender. The legislation of the United States assumes two main ways of offering American defense articles to foreign countries and international institutions: Foreign Military Sales (FMS) and Direct Commercial Sales (DCS). In the past Poland used the FMS mode when buying equipment, including multi-role aircraft F-16 and JASSM missiles. According to the announcement of the Polish government, the FMS was to be used in negotiations concerning the acquisition by Poland of its ‘Wisła’ air defense system. In the FMS mode, the U.S. government, through the Department of Defense (DoD) and its subordinate, the Defense Security Cooperation Agency (DSCA), mediates in selling American products offered to foreign buyers. In practice, the DSCA buys products on behalf of the U.S. government, and then re-sells them to the end user. The contract is an inter-governmental agreement (government-to-government), and the costs incurred by the U.S. government are compensated with a 3.5 percent commission fee, paid by the buyer. According to the assurances of the DCSA, the main advantage of FMS for buyers is the possibility to obtain comprehensive assistance in terms of support, training and other services related to the purchased system (i.e. Total Package Approach – TPA). In addition, in the FMS mode, the process of purchasing is organized in such a way as to ensure the participation of units and individuals with the most adequate licenses and qualifications, which will ensure the high quality of the process and of the final product. Immediately after receiving an inquiry from a potential client (letter of request – LOR), the DoD appoints the so-called Implementing Agency (IA), whose staff conducts the negotiations. A military department of the Army, Navy or Air Force is usually designated as the IA, depending on the corresponding request (LOR). IA employees, who have expertise in the acquisition of U.S. military equipment, are required to perform a series of analyzes and meetings with the client, to better match the offer to their needs. This reduces the number of people involved on the side of the buyer (e.g. Polish MOD), required for negotiations, the organization of logistical issues and finalizing the transaction. In addition, IA applies best purchasing practices of the U.S. government, which would eliminate a number of contractual and quality risks, associated with the purchase of complex weapons systems (incompatibility of elements, inconsistency with the order, etc.). DSCA regulations directly indicate that the quality of the products purchased through the FMS is a positive evidence of the United States and that they do not deviate from the parameters accepted by the U.S. Armed Forces. In the case of a tender for the ‘Wisla’ air defense system, FMS application procedure would allow for the procurement of an interim solution offered by the U.S. government, i.e. the rotational presence in Poland of U.S. Army Patriot ‘bridge’ batteries. They would perform air defense tasks until the delivery of the first Polish batteries in ‘transitional’ (PAC 3+) and final configurations in years 2022 to 2025. . 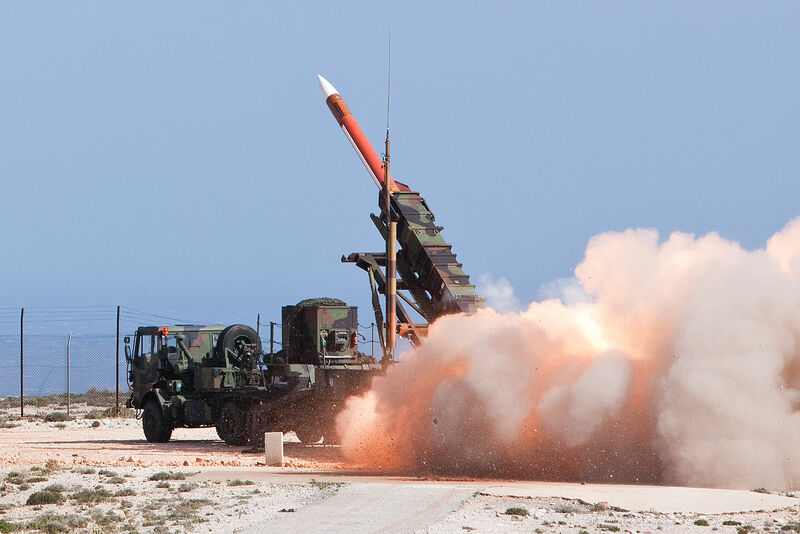 However, regardless of negotiations with Poland concerning the ‘Wisla’ system, the United States has already started looking for locations for the deployment of their own Patriot and THAAD systems in Europe. In this context, assuming lobbying of the Polish Ministry of Foreign Affairs and the Ministry of Defense to deploy US equipment in Poland would have a positive effect, the aspect of the ‘bridge’ batteries offered by the U.S. government through the FMS within ‘Wisła’ would lose its importance. Another advantage of the FMS is the potential increase in the interoperability of the acquired system. Namely, the U.S. budget for 2016 (National Defense Authorization Act for Fiscal Year 2016) requires drawing up a report on the integration capabilities of allied air defense systems with the systems of the United States. The law gives priority to the systems purchased through the FMS. The integration could deliver synergy in terms of the effectiveness of systems defending Polish airspace (e.g. the exchange of reconnaissance data between ‘Wisla’ and AEGIS Ashore system in Redzikowo), and would position Polish air defense as an integral part of the U.S. anti-missile security structure. For the U.S. government it would be another argument in favor of investing in relationships with Poland and modernization of the Polish Armed Forces capabilities. The FMS mode assumes that a customer submits a LOR rather for goods characterized by certain technical or operational parameters, than for a specific product. This allows the IA negotiating with several potential suppliers of goods that meet the criteria on the basis of the Federal Acquisition Regulation (FAR). FAR requires that goods are obtained while maintaining the principle of a Full and Open Competition, which enforces talks with a number of suppliers. In the case of ‘Wisla’ this could theoretically be Raytheon (PATRIOT system) and Lockheed Martin (representing MEADS). It is worth mentioning that the FMS also allows the acquisition of equipment from outside the U.S. industry, if it is an important part of the offered system (e.g. MDBA Italy radar system from MEADS offer). LOR inquiries, where a customer requests delivery of goods from a particular supplier (sole source), are excluded from the procedure of an open competition. The recommendation made by former Minister of Defense Tomasz Siemoniak, adopted by the government in April 2015, determined this course of action for the ‘Wisla’ system. The sole source condition is the exception to the rule, and could be implemented only at Poland’s written request. The U.S. government does not guarantee the price, completion date or other terms of the contract. It can only mediate in obtaining certain guarantees from the contractor. Moreover, the specific procedure of the FMS makes it impossible to determine the total lump sum for the contract, even after the signing of the contract (Letter of Offer and Acceptance, LOA). Poland assumes responsibility for the payment of the total cost of the acquisition, which may be higher than those appearing in the contract. This is particularly important with regard to the proposed AESA Patriot radar, the cost of manufacturing and maintenance of which is not fully known. Moreover, the procedure requires the transfer of a large part of responsibility and competence to the American side (the so-called delegating responsibility). Obviously, the question arises about the skill and the will of the U.S. government and the IA to impose tough conditions on their own industry, and maximize the benefits to the Polish side. DSCA studies indicate that, in certain circumstances, with the appropriate commitment and level of knowledge of the subject on the side of the buyer, the mode of direct sale (DCS) may produce better results than the FMS. The basic case mentioned by the DSCA is the rivalry between two commercial entities. They may accept lower rates of profit than those guaranteed to contractors by the Department of Defense. The buyer must, however, skillfully and accurately determine their requirements to be able to compare offers. From the perspective of the formal requirements of the FMS procedure, the negotiations regarding ‘Wisla’ system are in the initial phase. LOR inquiry has not been sent (i.e. the first formal step in the entire procedure). American actions so far were based on informal signals from the Polish government, and presumably on the activities of the U.S. Embassy in Poland. One may be tempted to say that in practice there is no contract, and even no formally started inter-governmental negotiations. In addition, media reports write about the start of negotiations on the ‘Narew’ air defense system in 2016, the scope of which is complementary to the ‘Wisla’ system. In the present situation, assuming that the Polish government would want to acquire the American system through the FMS procedure, the first option is to continue the process of the previously chosen path, and send LOR with a ‘sole source’ condition for the PATRIOT system. This is the quickest path to acquire PATRIOT systems in the frame and price discussed so far (bridge, transition and final configuration batteries). The statements made by Minister of Defense Macierewicz suggest that informal talks with the U.S. government do not mean that Poland would receive a financially satisfying offer. Therefore, it might be necessary to limit the technological or quantitative requirements of the Polish LOR. The second option is to send a query on the air defense system with the required parameters, without specifying a supplier. This is an option, which forces competition between the available U.S. systems, in this case MEADS and Patriot. Undoubtedly, it would require long negotiations, and may cause delays in the delivery of the system to Poland. However, it could reduce the price or positively affect the other terms of the contract, e.g. offset. Another option is to give up purchasing the complete air defense system, and send a query regarding its individual parts. In the first place LOR would refer to the offer for a command system (network-centric design, interoperability, plug-and-fight). This would significantly increase the number of bidders, potentially resulting in a better offer for Poland. At the same time it would be possible to choose the best available components from different vendors and look for synergy with other programs of the Polish army (e.g. command centers of air defense systems ‘Narew’ and ‘Poprad’). The U.S. Army currently uses this method of acquiring air defense systems. In 2010 Northrop Grumman was selected as a provider of IBCS that integrates American air defense systems (a system of systems – Integrated Air and Missile Defense Battle Command System – IBCS). The other elements (e.g. radars) are purchased by separate contracts. The disadvantage of the third option is the extended duration of a complete air defense system. Negotiations on the various systems (radars, launchers, missiles, etc.) would be conducted separately, which would increase the complexity of the process. This would also require increased involvement and skills of Ministry of Defense, and would pose the risk of technological incompatibilities of elements. Foreign Military Sales is one of the modes of acquiring U.S. weapons, a well-known one to Polish Armed Forces and the government (e.g. the purchase of F-16 aircraft). Its advantage is the involvement of the U.S. government and its military experts, and cooperation with the US Army. To some extent, the FMS also allows the competitive acquisition of weapons from various U.S. suppliers, but does not guarantee a lump sum price or the quality of purchased products. In the current situation the FMS procedure offers Poland flexibility in taking the next steps towards the acquisition of ‘Wisla” system. Drawing up the LOR based on current discussions would allow Poland a prompt purchase of air defense system with capabilities of ‘Wisla’ (in the form of bridge and transitional PATRIOT battery) but initially would not comply with Polish technical requirements. Acquiring the system in such a mode would also have to take into account the limited range of technological or quantitative aspect of such a request so that the offer corresponds to Polish financial possibilities. The change in the approach to negotiations under FMS could consist in obtaining competitive offers from American suppliers, for example by giving up the ‘sole source’ condition. Potential delays in the implementation of the program may be compensated by the purchase of short-range air defense system ‘Narew’, the deployment in Poland of Aegis Ashore anti-aircraft defense systems of the U.S. Armed Forces and, potentially, of PATRIOT or THAAD. Submitting the LOR, which assumes many contractors of the air defense system or its individual parts through the FMS procedure, can improve the negotiating position of Poland and the Implementing Agency which represents it.